Numerous media outlets are reporting that Carrie Fisher, who passed away last December, will finish the modern Star Wars trilogy and act as General Leia in Episode IX. With filming for Star Wars: The Last Jedi (Episode VIII) wrapped up, fans expected her to show up in the next installment. But considering the tragedy, the announcement of Fisher’s appearance in Episode IX is a surprise. The use of a CGI Princess Leia and Grand Moff Tarkin brought heated debate to Rogue One: A Star Wars Story last year. Some fans felt the models looked creepy and unrealistic. After Fisher died, Disney decided to respect her memory by promising never to use a CGI Leia again. This news brings a few questions. How much extra footage is Disney sitting on? How big of a role does Fisher play in Episode IX? Did they plan to use the extra footage for IX, or did plans change course? Billie Lourd (Fisher’s daughter) and Todd Fisher (her brother) gave their blessings to use Carrie Fisher. 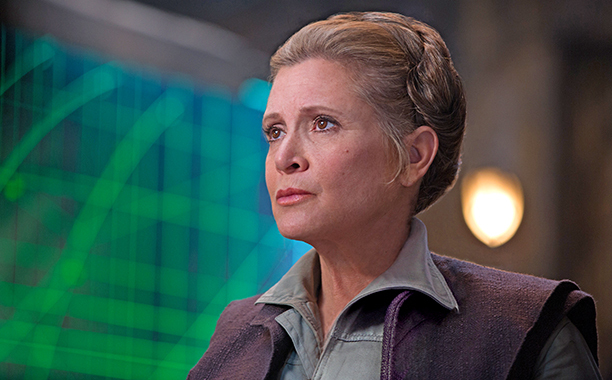 For those who cannot wait, Gamespot also reveals a few key spoilers on Fisher’s final Star Wars appearances. The possible scenes sound fantastic, if true. Star Wars: The Last Jedi is set to release in theaters everywhere on December 15th. Episode IX is slated for a 2019 release.